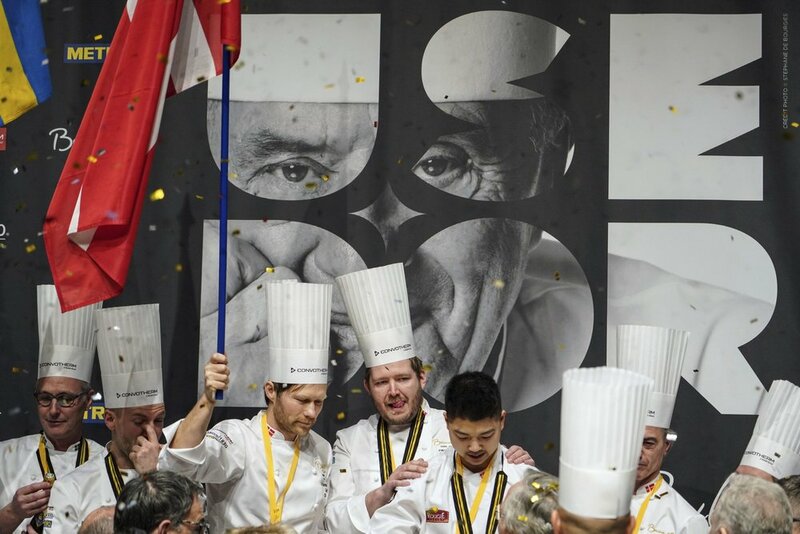 Kenneth Toft-Hansen of Denmark, center, celebrates with his team after winning the final of the "Bocuse d'Or" (Golden Bocuse) trophy, in Lyon, central France, Wednesday, January 30. 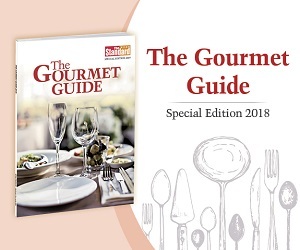 Nordic nations have swept the top four prizes at the world’s most prestigious culinary competition in France, beating Gallic gourmet chefs at their own game with Northern European simplicity and local ingredients. Danish chef Kenneth Toft-Hansen told Danish broadcaster TV2 that he had chosen theme "Flora Danica” for his dishes in the competition, in reference to their local ingredients, including juniper and wild thyme, which are found along the country’s coasts.